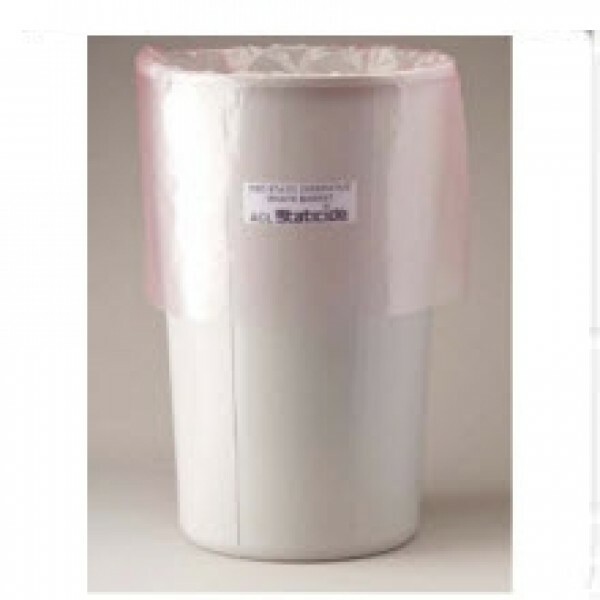 ACL Staticide 5075 - Waste Basket - ESD Static Dissipative -11 Gallon (16"D x 22"H). High Impact, Non-Black Wastepaper Basket. This high density polyethylene container. No carbons, dyes or additives. ....making it ideal for all applications demanding cleanliness. The trash barrel will not tribogenerate, and will dissipate static electricity. The container measures 108 - 1012 ohms for surface resistance. The ESD Static Dissipative Waste Basket is ideal for cleanroom, manufacturing, inspection, quality control and research industries. Packaged 5 per case. For More Information, please contact Customer Care.